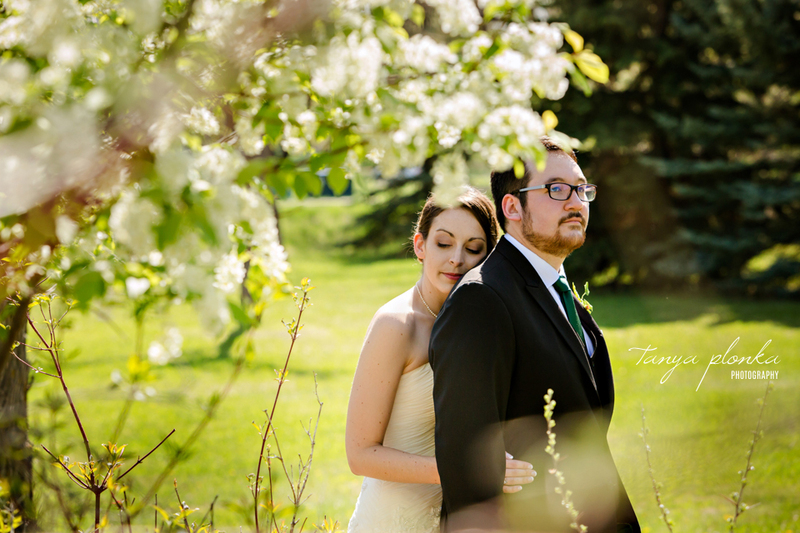 Erin and Taylor chose the most beautiful day to have their Lethbridge City Hall spring wedding. This was the first day of spring where it truly felt like summer was on its way and the air was filled with the sweet smell of tree blossoms everywhere we went. After portraits at Aperture Park, they headed to City Hall for their ceremony. Edgar the Barnowl presenting their wedding rings offered a unique touch to the day! He was very well behaved during the entire ceremony. 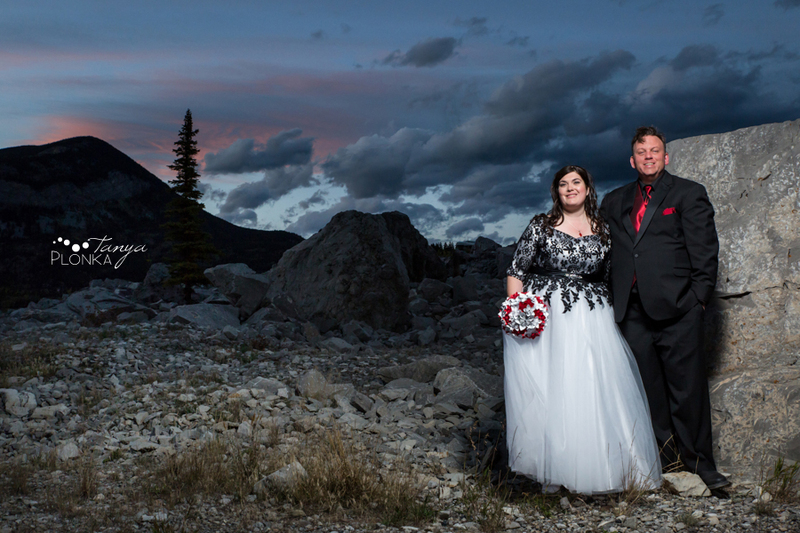 Desirée and Craig wanted to reflect their love for the live music scene by hosting a Crowsnest Pass night time wedding at The Greenhill Hotel in Blairmore. 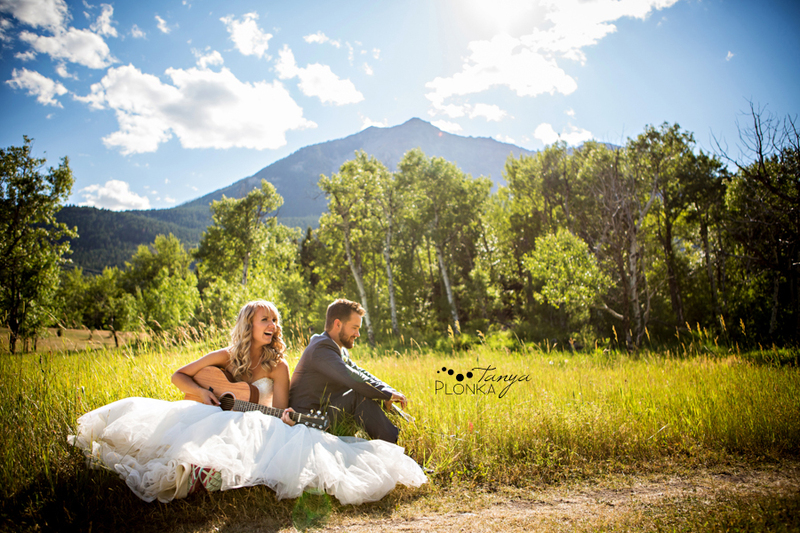 With Craig being a musician, their concert-themed wedding was perfect! In addition to closing out the evening with an open jam stage with their friends, their decorations were accented with records and musical notes. Des: Are you okay to drive? One special touch in their wedding was how much they included Desirée’s son. Not only was he their ring bearer, but he joined them in a hug after the first kiss and had a special marriage certificate to take part in the signing of. p.s. Special thanks to Nate at Rydography for filling in for Cam as second shooter / assistant! While most of our weddings this year had a huge chance of being rained out, Shelly and Mark’s Paradise Canyon summer wedding never once had that threat. Instead they had an amazing hot day for their outdoor ceremony at the golf course. They chose to hold both their ceremony and reception at the scenic Paradise Canyon Golf Resort, overlooking the coulees. With Mark’s family travelling a far distance to attend the wedding, it was fitting they got to spend this special day in such a distinct Lethbridge landscape! When Stephanie and I rode the school bus together many years ago, I never imagined I’d one day be rolling around in the damp grass photographing her wedding! Her and Travis had a gorgeous SpringBreak Flower Farm wedding and though their ceremony was forced inside from the threat of rain, we were lucky to be able to do all their photos outside. We were especially lucky seeing as how the day before there were tornado warnings! One very special part of the day was the inclusion of their dogs (their babies, of course!) Lucky and Luka. The dogs even had a special part in the ceremony as they walked down the aisle inside of SpringBreak garden centre and stood alongside the wedding party. This was such a happy day for them and their wedding party was so energetic and happy, so they never had a chance to stop laughing. The wedding party was so much fun to spend the afternoon with as everyone was having such a great time, plus this was my first time having one of my cousins included! Colby and Allison have already been together for a few years and the deep connection and friendship they share was obvious. The Springbreak Flower Farm was a stunning venue for the whole day, starting with Allison and the girls getting ready at the bed and breakfast and finishing with their greenhouse ceremony and reception. Her and Colby planned their day so their guests could go straight to the party, with all of their photos taking place earlier in the day and their ceremony in the evening. 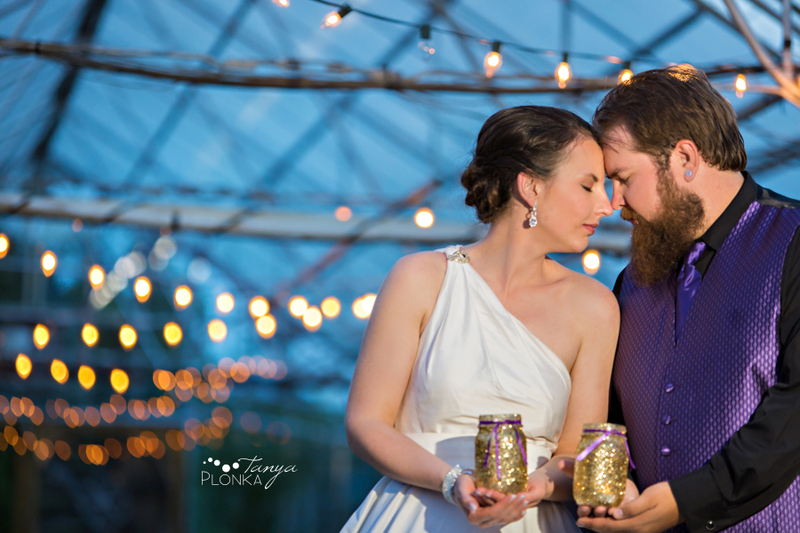 Unfortunately their planned outdoor ceremony was met with rain, but inside the greenhouse was just as beautiful with all of the flowers and lights. We were so happy that the bride and groom set aside time for evening portraits during their reception. Springbreak had such pretty spots tucked away in it! 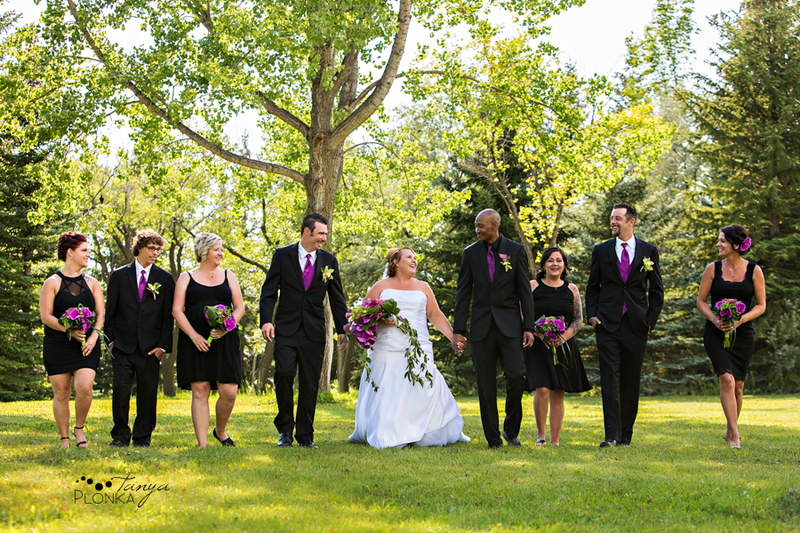 Alyssa and Drew had such a beautiful wedding in Lethbridge surrounded by so much love from their families. The couple originally wanted a mountain summer wedding but with so many relatives who couldn’t make the trip, they decided to keep the party in Lethbridge and just drive out to the mountains for their portraits in the afternoon. 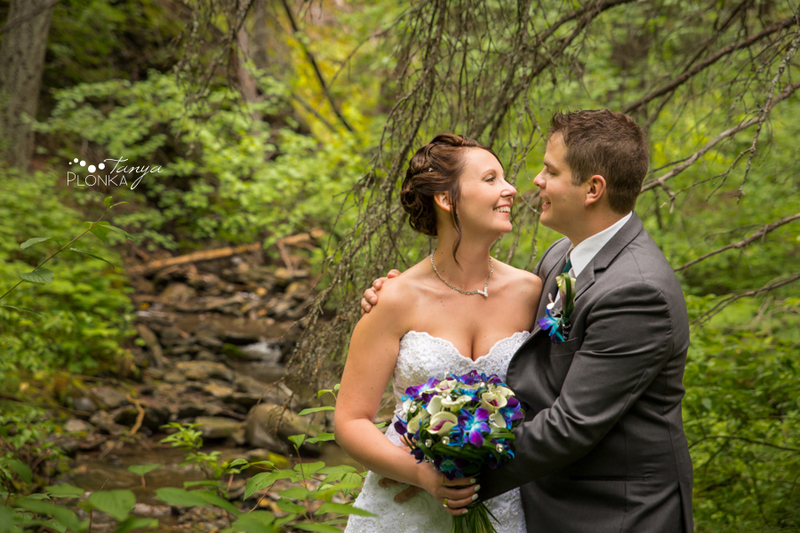 After a beautiful drive out to the Crowsnest Pass, Drew and Alyssa got to spend time in the forest and under the mountains, giving them the landscapes they love so much. Alyssa is a very talented country singer so it was a natural fit for their wedding to have country-inspired themes and involve lots of music! Alyssa even performed at her own reception, which was such a fun touch. I’m so glad we could bring one of her guitars out for photos!